Typically, I embrace moving around the globe. I feel so absolutely spoiled by the job I have and the fact I get to experience so many different places, cultures, languages and foods. I thrive on the continuous movement and don't really excel at staying in one place, even when that one place is my own home. I went to Hawaii for Thanksgiving and the exit has left me almost perplexed. It was a super short trip, but I always knew it would be. It isn't the first time I've done something like this. I had four full days there and they were absolutely packed, like in a way that I couldn't have sustained for a full vacation. We went snorkeling, fishing, manta ray sighting along with the norms of beach laying, happy houring and simply eating well. A lot was crammed into four days, bookended by really, really long travel days. Normally, I would be able to leave without a hiccup. I love being in motion, but this one was a little harder. I wasn't ready to leave; I don't think it was because I was worried I'd miss out on anything....I think it was just that I got to have such a relaxing, enjoyable time that I wasn't ready to say goodbye to it. There were five of us: four adults and a child. It was a good group and we found a nice rhythm and I felt our days just flowed. I don't have that feeling at work or normally with family. So once I found that rhythm, I wasn't ready to leave it. 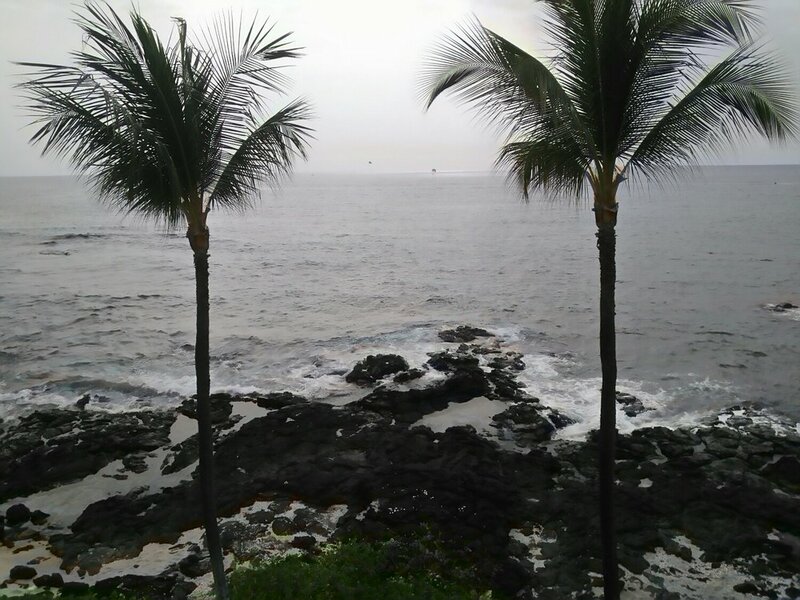 I flew out of Kona later on Saturday with a layover in Honolulu and then a red-eye into Atlanta. When I was in Atlanta, I spent about an hour just walking between all the terminals to get in my steps and workout on a travel day. Then I got on another flight to Punta Cana, Dominican Repbulic followed by a several hour bus ride. It was a long two days of travel and I don't think I settled into it until I was in Atlanta. Typically, I get to the airport and I'm in travel mode. But this time was different....I didn't want to go. I didn't want to move. I was actually happy and content staying still for a bit. A bit of a novel concept for me over the past few years but sometimes it is nice to know that I might be able to reintegrate into "normal" society after running around the globe year after year.